Many thanks to Dr. Steven Bellamy and Chisato Mishima for hosting me in Japan. 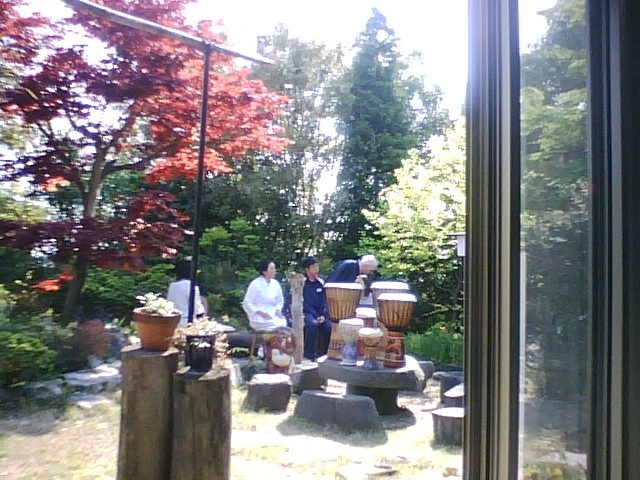 This is a cel phone photo of their 400 hundred year old garden where we drummed. This entry was posted in DRUMMING ADVENTURES, Japan Drumming, Uncategorized. Bookmark the permalink.